Carol as a Public Speaker. 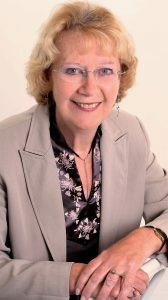 Carol is a qualified public speaker who has spoken at Women’s Institutes, the Mothers Union, ladies church meetings, book groups, and at bookshops among other places. The life of Gladys Aylward, missionary to China in the 1930’s and 40’s. George Muller, the founder of children’s homes in Bristol who rescued thousands of children from the slums, funded completely by faith. Frances Ridley Havergal, the Victorian hymn-writer. Mary Slessor, a Dundee born missionary to Calabar, Nigeria. All these talks are based on her books. Carol’s talks also include tales of her travels and adventures – a journey right across Russia on the Trans Siberian Railway and a trip to China including a sail on the Yangtze River. Carol also runs a Christian Writing Group with members from Lancaster to Cannonbie, St Bees to Brampton.